A large percentage of all immigration applications and petitions filed without legal counsel are denied. This is a fact. Immigration law is highly complicated and an immigrant needs a lawyer to help with the preparation of his or her immigration case and filling out the forms. Only a specialist immigration solicitor can correctly review the facts of your case, determine legal remedies, and guide your case through the Home Office. We help you understand immigration law, policies, and regulations. The strict immigration laws applied in The UK can be frustrating and restrictive to individuals who want to enter the United Kingdom. The process requires dedication because there are many laws and a lot of paperwork involved. Without the guidance of a lawyer the laws and regulations will all be Greek to you. 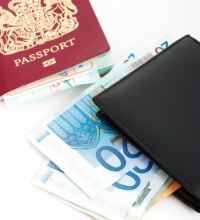 Our immigration advisers will help you by cutting through the red tape and excess paperwork. You will need to consult with an immigration lawyer when you are not sure about the eligibility of your visa or other immigration benefits. We also help in situations where you need flexible relief such as asylum or a waiver that involves persuading the immigration authorities to offer you those benefits. At times when you have been notified that a deportation or removal proceeding is going to be started against you only expert legal representation can increase your chances of leave to stay. Our immigration solicitors help you understand the regulations and policies in the context of your personal circumstances. However we cannot guarantee you a successful application, but we can give you honest insight into the processes involved. We increase your chances at succeeding in your application. If your chances of succeeding are slim, we advise you accordingly, saving you the time and money you would invest in an application that would turn out unsuccessful. Lawyer client privilege in immigration cases. Direct communication between you and the immigration officers are not protected by privilege. Unfavorable details showing up in your application for instance a criminal history can cause your application to get rejected at the drop of a hat. However if you discussed these unfavorable details with one of our solicitors they can make a proper assessment of your facts and find clauses that could still accommodate you. We advise you on changes in immigration law. Only lawyers can properly advise you on the latest changes in the UK immigration law and procedures. Changes occur often and these changes further make the process of applying for immigration rather complex without proper legal counsel. The lawyer knows what to do about each kind of visa situation, and with our help you can hope for a successful application. We represent you in immigration trials. Our advisers will stand with you and represent you for as long as your immigration matters take to resolve. We are there to help you if the Home Office finds something wrong with your application; we help you resolve the matter. Immigration Solicitors do not work for the government; we have your best interests at heart. We stand ready to appeal on adverse decisions that deny your application or petition. We will guide you on what steps to take to achieve what you want. Government bureaucrats will not dare intimidate you if you have an immigration solicitor working on your behalf. They will not dare deny you your rightful benefits either.